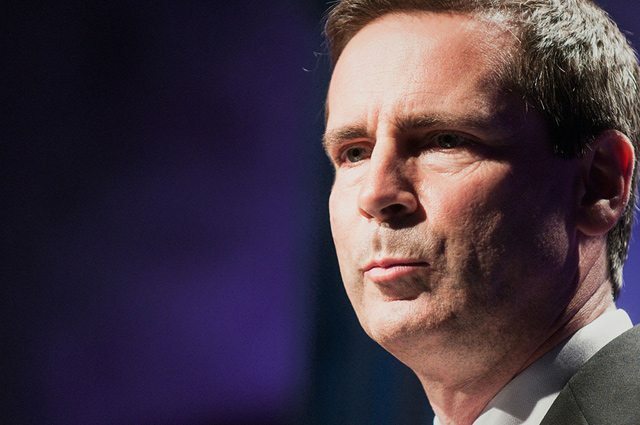 Dalton McGuinty Resigns: "It Has Been an Incredible Honour and Privilege to Serve Ontarians as Their Premier." Ontario premier prorogues the provincial legislature and steps down. Speaking at a press conference a few minutes ago, Ontario Premier Dalton McGuinty added a bit more detail to today’s surprise announcement that the provincial legislature is prorogued and he will be stepping down as Liberal party leader. He will keep his seat representing Ottawa South until the next provincial election, but will give up the reins of power as soon as a new party leader is chosen, and is urging the party to hold a leadership convention soon. Dalton McGuinty was first elected to the provincial legislature in 1990, and assumed the Liberal party’s leadership in 1996. After two terms as opposition leader he became premier when the Liberals won the 2003 election. Immediately after today’s announcement, speculation mounted that McGuinty might be stepping down provincially in order to launch a bid for the federal Liberal party leadership. Tonight McGuinty said that he didn’t “have any plans” for what he’d be doing next, but he refused to rule out that leadership bid outright. He cited his daughter’s recent wedding as a reminder of what “was really important,” as one key factor in his decision to step down. The other deciding factor, McGuinty went on, was the party’s annual general meeting last month, at which he received strong support (86 per cent of delegates backed him) and which convinced him of the party’s stability. “My responsibility is to look to the future and ensure renewal,” he said tonight. He also said that AGM convinced him “our party had the strength, the rigour, and the vigour” to withstand the pressures of a leadership race. Observers, however, are quick to point out that McGuinty and his party are under serious fire for Energy Minister Chris Bentley’s decision to scrap two gas plants, at great expense. Bentley has said he won’t resign; some today speculated that McGuinty may have decided to take the fall. He didn’t, however, apologize for that situation when asked to directly tonight by a reporter. The minority Liberal government is also in the midst of tense labour negotiations, which have seen McGuinty alienated from the teachers whose support he sought and received for years. The Liberals are calling for a pay freeze and other concessions—a call that the teachers are challenging in court. Negotiations are also tense with many other bargaining units, all of whom are facing similar demands as the Liberals attempt to eliminate the deficit, which Finance Minister Dwight Duncan pegged at $14.4 billion today. McGuinty said that his party will continue to “negotiate directly with our labour partners,” and also try to strike up “civil” conversation with other parties, while the legislature is prorogued. He expressed hope that those conversations might go better than they have to date if they happen outside of the pressures of a legislative session.